So in today's post I'm going to rave about one small product found in one small shop in Old Spitalfields Market, London. 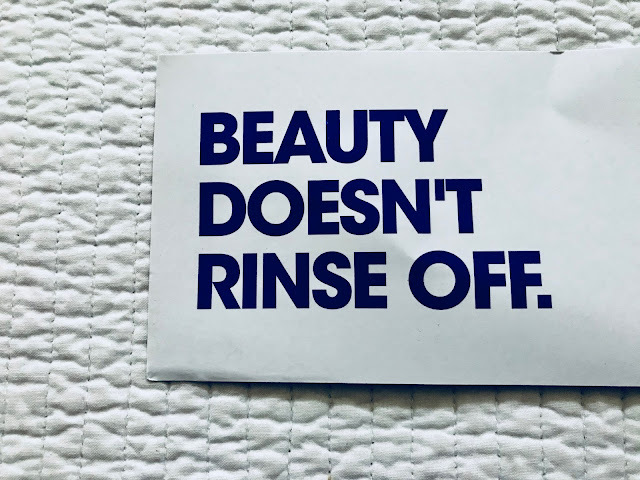 DECIEM is a brand that sells a few brilliant quality but unheard of beauty brands such as NIOD, Loopha, Ab Crew and of course Abnomaly. 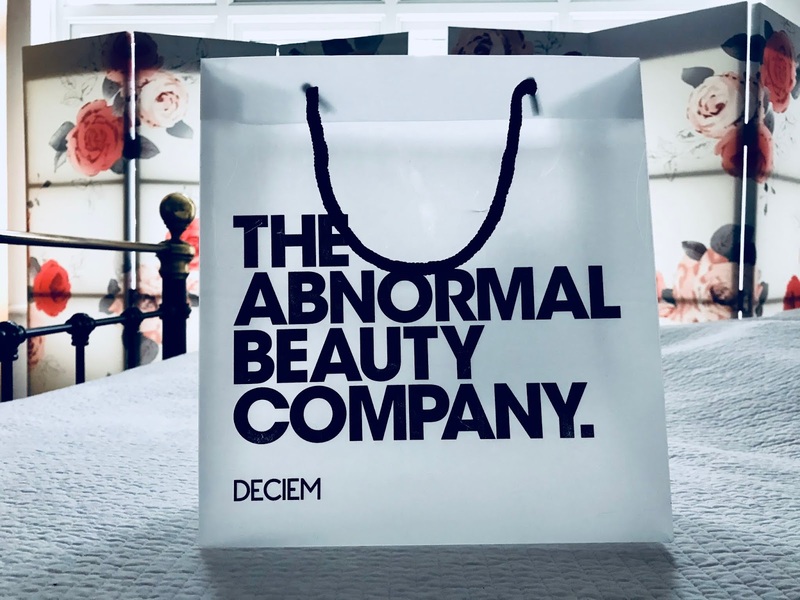 The Abnormal Beauty Company is such an instagrammable and aesthetically pleasing shop. So minimalist and organic looking. But as I said in today's blog post I'm going to share my opinions on one product; the Abnomaly Petrowhat? Bali. So what the hell is this product? 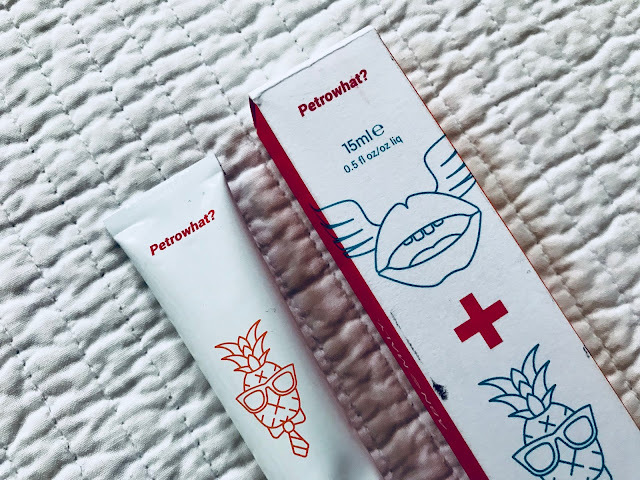 Well it's a petroleum based lip and skin ointment. 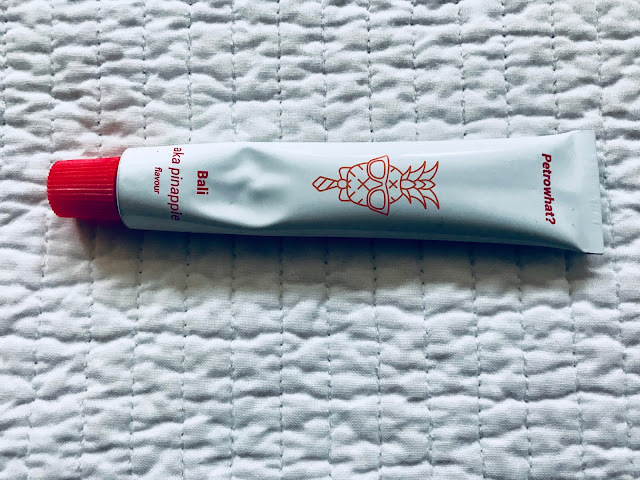 But unlike other petroleum-based formulas, this ointment is super long lasting as a lip or skin balm as it is filled with a high concentration of skin-identical Amino acids in a plant-derived Squalane and Baobab Oil base. 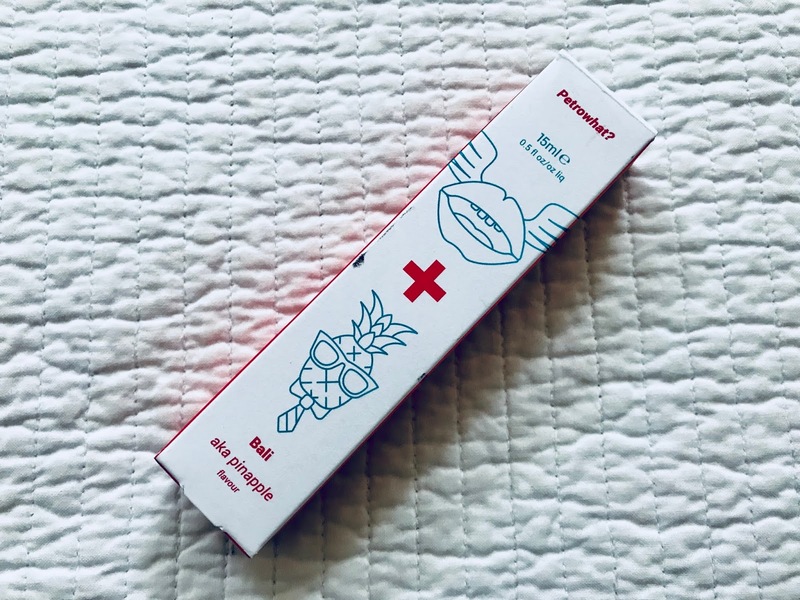 The formula leaves your lips and skin feeling super hydrated, protected and repaired immediately after it's used, but also for a long time afterwards. I love using this product on my lips mostly, however I also use it on my hands to leave them super soft and plump. The formula is alcohol-free, silicone-free, nut-free, vegan, gluten-free and cruelty-free. A little goes a long way with this balm, and the formula is very lightweight and melts into your skin almost immediately. The Petrowhat? 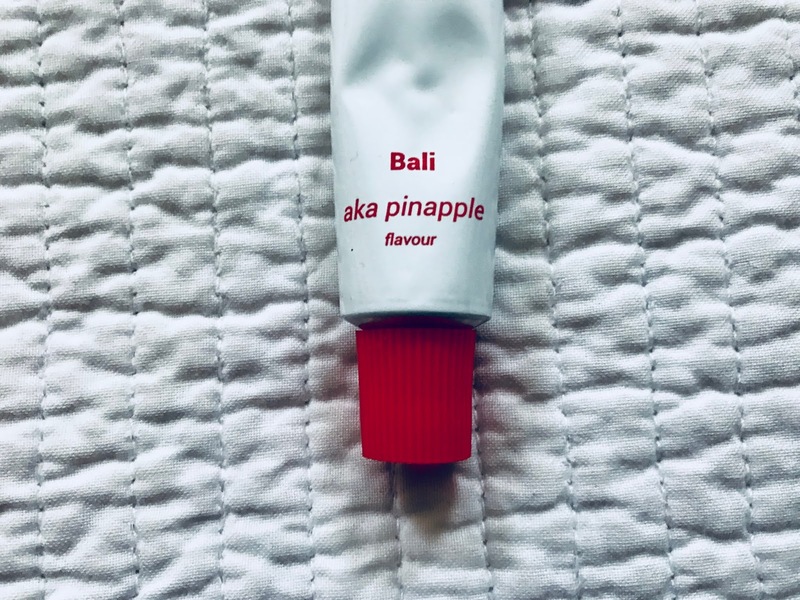 Bali is aka Pineapple - meaning that it has a lovely light taste and scent of pineapple. 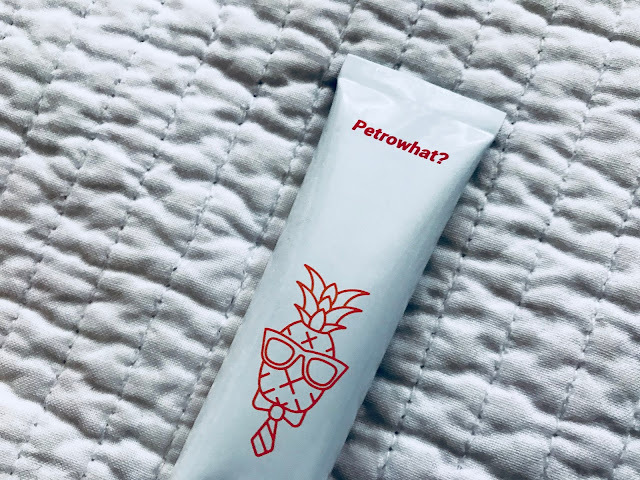 The Petrowhat? also comes in several other flavours; Coconut and Guava. 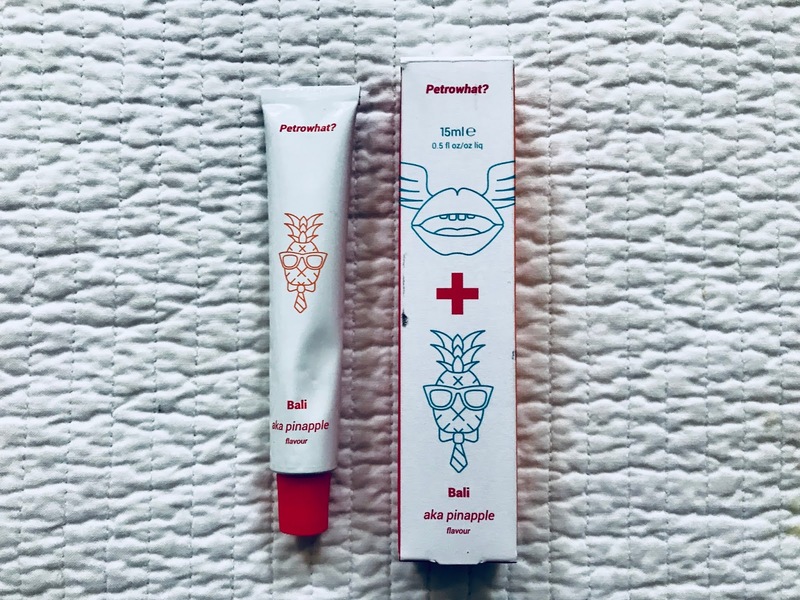 The packaging of this lip and body ointment is so unique and it's a great size to pack with you in your bag everyday. Have you heard of The Abnormal Beauty Company before?